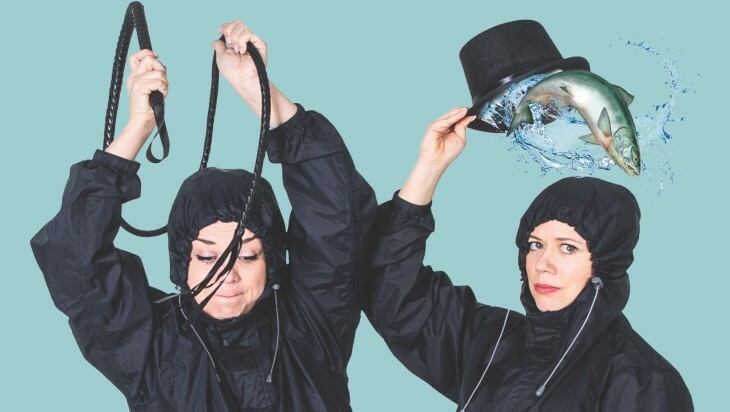 UK's multi-award-winning physical comedy double-act, The Kagools, continue to propel silent comedy into the 21st century with their brand new creation Cirque du Kagool. Join The Kagools for an hour of their trademark blend of pure joy, anarchic buffoonery and unique "wit and imagination" (The Wee Review, UK), you won’t regret it! The Kagools are a multi-award winning physical comedy double-act from the UK, making a real splash on the comedy festival circuit. Since their first full-length show in 2014, they’ve quickly gained fans far and wide with their utterly unique trademark brand of wordless (but far from silent) spontaneous, anarchic buffoonery. An equally sought-after headline act both at home and overseas, their shows have toured extensively to critical acclaim. - One of Sydney Morning Herald’s ‘must see’ acts at the 2017 Sydney Comedy Festival. - One of The Urban List’s Top 5 International shows to see at the 2016 Melbourne International Comedy Festival.